When I was featured as the Photographer of the Week in the one of the flickr groups, I was asked to describe my photography in one word. Poetic was my answer. I always thought that there is poetry in photography. I have been using the phrase, poetry in photography, since 2007 when I started making personalized calendars. The phrase may have originated somewhere, or it may have come from me, but it doesn’t matter as I further played with the two main words and came up with a not-so-appealing PHOETRY. PHOETRY will be the title of my new photoblog. More photos, less words. A visual poetry. The first time I used the term phoetry was in 2009 in one of my blog posts. It has been my guide in taking photos. Though I can still keep up with my one blog per month in totomai.net, I thought it’s better to have an alternative photoblog where I can post photos only with less words. PHOETRY will be the perfect venue for it. Another branch of totomai.net as it turns seven years old. Don’t worry, totomai.net will still continue to shoot, to blog and to distill thoughts. 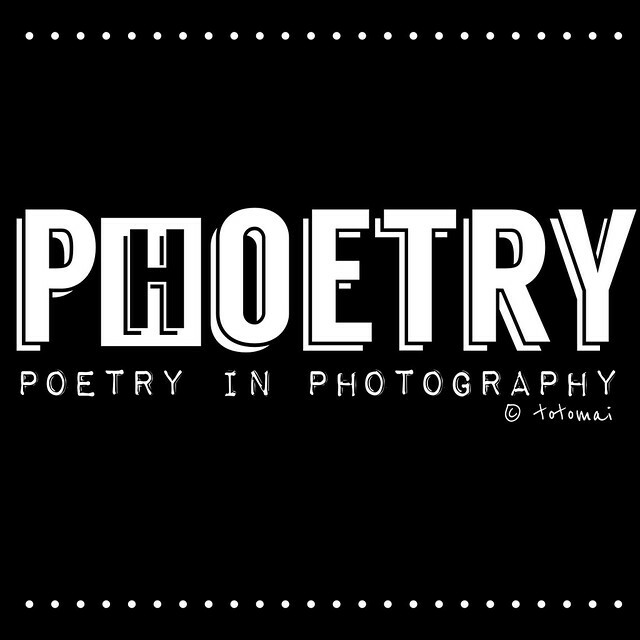 Give some love to PHOETRY – my new photoblog. It will always feature ten photos per post. Any subject / theme recommendations is highly appreciated.